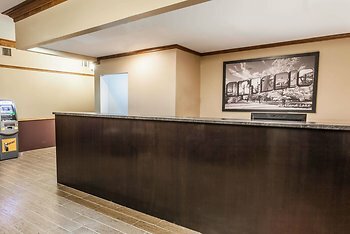 Hotel Super 8 by Wyndham Kirkland Lake, Kirkland Lake, Canada - Lowest Rate Guaranteed! A stay at Super 8 by Wyndham Kirkland Lake places you in the heart of Kirkland Lake, just a 3-minute walk from Wright-Hargreaves Park and within a 5-minute drive of Museum of Northern History. This motel is 1.1 mi (1.7 km) from Hockey Heritage North and 7.5 mi (12.1 km) from Kirkland Lake Golf Club.